A new tool kit that includes the three most popular tools used by bead stringers for cutting, crimping, forming, and handling bead wire and findings has been introduced by Xuron Corp. of Saco, Maine. 494 4-in-1 Bead Crimper with three folding stations for 1, 2, and 3 mm crimp tubes and includes a chain nose plier tip for holding, squeezing, and picking up small beads and findings. 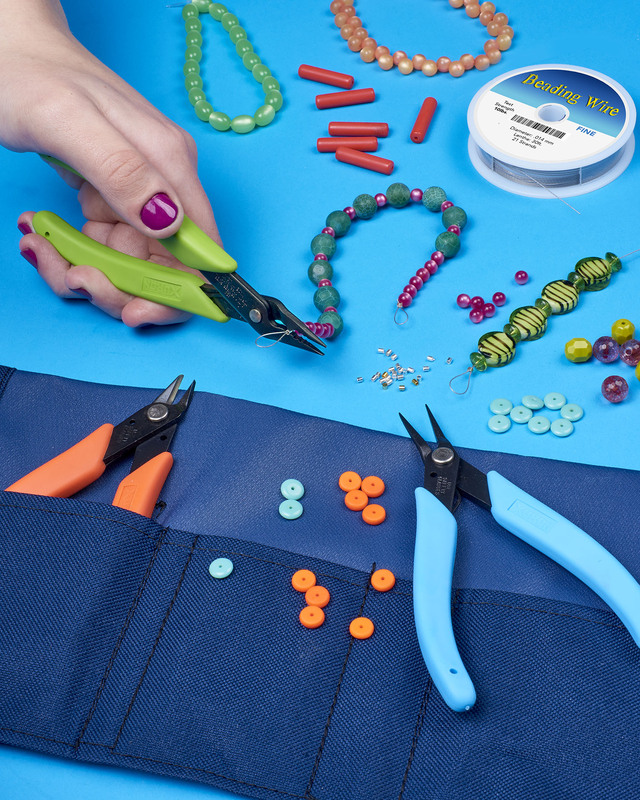 Supplied in a handy tri-fold protective pouch, these tools in the Xuron® TK2600 Bead Stringer’s Tool Kit are designed for optimum precision, comfort and control. Featuring non-slip Xuro-Rubber™ cushion grips and Light-Touch™ return springs, they are made from high carbon steel for strength and dura-bility, have a slim working profile, and a glare-eliminating black finish.